During the nineteenth century, workers in the United States worked long days in tough conditions. With the introduction of factories and a huge migration in to large cities, workers found themselves abandoning the natural work cycle that depended on the sun and instead punching a time clock. The more hours a worker worked, the more product was produced. In steel mills and slaughterhouses, on production lines and sewing floors, workers spent as many as 17 hours a day working at a frantic pace in order to keep their jobs. 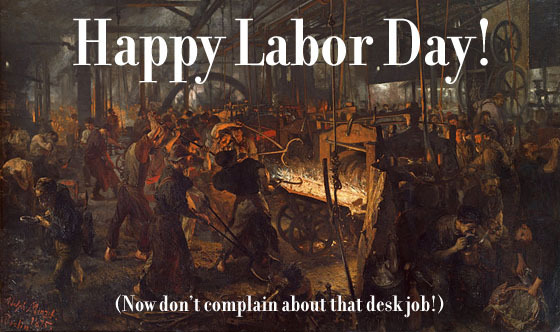 Thanks to the labor movement, that’s all changed. Kind of . . .